Do you know why penguins aren’t mentioned in the Bible? God used a lot of symbolism and literary tools when He crafted the Bible, but none involve penguins. 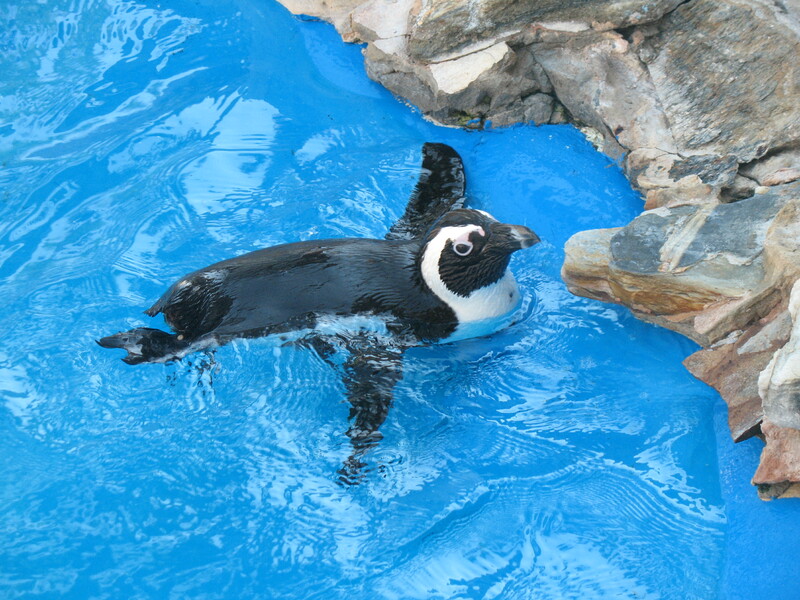 I have no doubt Jesus could have told a great parable about penguins – the birds that can’t fly but can swim like fish, the ones that live on the earth but are more at home in the water. It could have been one of His best stories! So why aren’t penguins in the Bible? Because God uses symbols that make sense to His audience, and at that time, His primary audience was the people who lived in what is now the Middle East and northern parts of Africa. And we can be sure those people had never seen a penguin waddle through the desert. In the Old Testament, God established an elaborate sacrificial system that pointed to the need for an ultimate Savior. All of the things used in the Tabernacle – the colors and materials, the methods, the terms – these were all things the Jews could understand. This is why they knew to look for a Messiah. In the New Testament, Jesus spoke in parables about fishing, farming, and the family unit, all topics the Jews understood. A story about a penguin would have been exciting, no doubt, but it wouldn’t have meant anything to them within their cultural context. Jesus was born into a Jewish family in a Jewish community. Yet, His goal was not to follow the Jewish Law of the Old Testament, but to fulfill it. (Matthew 5:17) You see, Jesus is referred to as the Lamb of God for a reason, because lambs were sacrificed in the Old Testament to meet the Law’s requirements. (John 1:29) The lamb doesn’t follow the Law; it’s the sacrifice used to fulfill the Law. Likewise, Jesus wasn’t confined to the Jewish culture of His day. As God, Jesus transcended the culture He lived in. This really upset the Jewish leaders. Although they were looking for the Messiah, they assumed he would be like them and would follow their rules. This Jesus didn’t do that. Instead of resting on the Sabbath, He picked grain and ate it when He was hungry. He even had the nerve to heal the sick and disabled who begged for mercy. Jesus explained to the Pharisees, “…The Sabbath was made for man, and not man for the Sabbath. Consequently, the Son of Man is Lord even of the Sabbath.” (Mark 2:27-28, NAS) But the hearts of the Pharisees were too hardened for them to understand. Jesus lived in a Jewish culture, so He used Jewish terms and symbols to explain the great mysteries of God. It must have been a great shock when His Jewish disciples learned that the salvation Jesus had offered them was now accessible to the Gentiles, as well! It was to the Jews God had appeared over and over in the Old Testament; the Jews who wandered in the wilderness for decades; the Jews who followed God’s instruction to build the Tabernacle; and, finally, to the Jews that Jesus was born. And now the Gentiles would receive the same reward! The Jews and the Gentiles were a very different group of people with different cultures. Their one common ground was Jesus. However, the Jews didn’t require the Gentiles to give up their culture or their heritage in order to worship their God. This shows the difference between faith and culture; they are not the same thing. I’ve been wanting to explore certain topics that often divide us, and I keep coming back to this idea of culture. I’ve heard people speak of a “Christian culture,” indicating it is unique to Christians and must be adopted by all who follow Jesus. It’s used to explain denominational differences, requirements for dress code, the musical instruments allowed during worship service, the role of women in the church, etc., etc. I think some of this makes as much sense as a penguin in a desert. The Bible clearly states that Jesus’ salvation is for anyone who will accept it, and cultural differences cannot stand in the way of faith. (Acts 15, Romans 2) Therefore, I believe there is no such thing as a “Christian culture,” at least not one proscribed by God. And if we find ourselves requiring certain cultural mores and boundaries that we create for ourselves and other Christians, we will become just like the Pharisees, unable to accept a God who doesn’t live by our rules. It seems so simple, but we still have a hard time accepting this. Our faith influences the culture of our community, our country, and our world, as it should. But our faith is holy, timeless, and unique; there is no other religion that leads to the one true God, and He never changes. Our culture, on the other hand, is a mixture of numerous elements; it changes with time and geography; and it is not the basis on which we are judged by God. We do not need to accept the Jewish culture today any more than the Gentiles did in the first century. And we should not require others to adopt the culture of our specific church, denomination, or community in order to access our God. I agree! Welcome all who trust Jesus, then watch how the Spirit will transform them into the Christians THEY were meant to be. God is always doing new things!